After this brutal winter in New England, we are jumping at the chance to start our beach exploration! It has been on our list the past few years to find a place on Cape Cod for those weeks or weekends when we want to get away. Falmouth, MA is one of our favorite Cape Cod beach towns as it is a quickly reached once you cross onto the Cape and it a great location for day trips to the rest of Cape Cod and the Islands of Martha’s Vineyard and Nantucket. 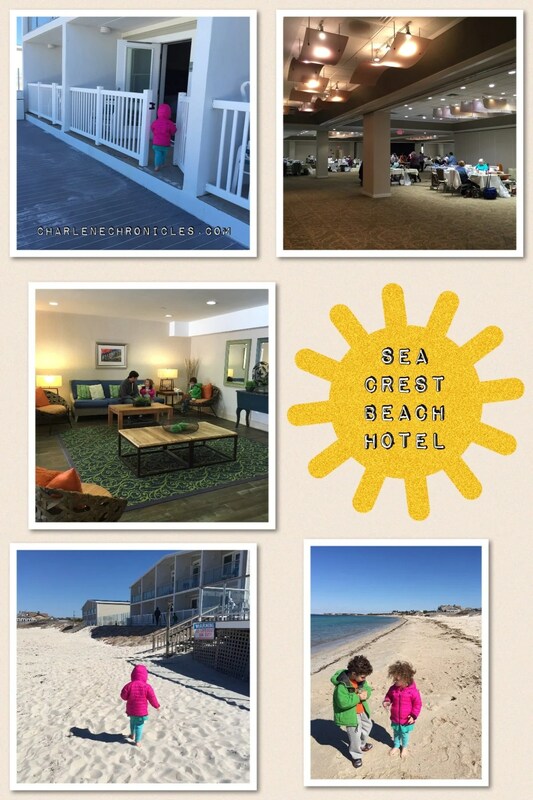 One resort we recently stayed at was the Sea Crest Beach Hotel in Falmouth near Old Silver Beach. Upon arriving, the reception area set the tone, and the front desk staff were so accommodating and delightful during our visit. It is not a surprise that we were taken with the resort the moment we walked in. Set on a private beach in Cape Cod’s legendary North Falmouth, Sea Crest Beach Hotel recently emerged from a multimillion-dollar renovation and as a result, it has been named “Best Hotel” by Cape Cod Magazine’s “Best of the Cape & Islands Reader’s Choice Awards” consecutively since 2011. Cape Cod Magazine also awarded Sea Crest Beach Hotel “Best Sunset Wedding” in its “Best of Cape Cod Awards” in 2012. With 263 rooms, it is a spacious yet intimate resort with rooms having fireplaces and private water-view balconies, and a three-bedroom cottage that sleeps up to eight. Whether it is a wedding, bachleorette party, bridal shower, corporate conference or board meeting, there are lots of event spaces on the property too, in addition to the rooms. 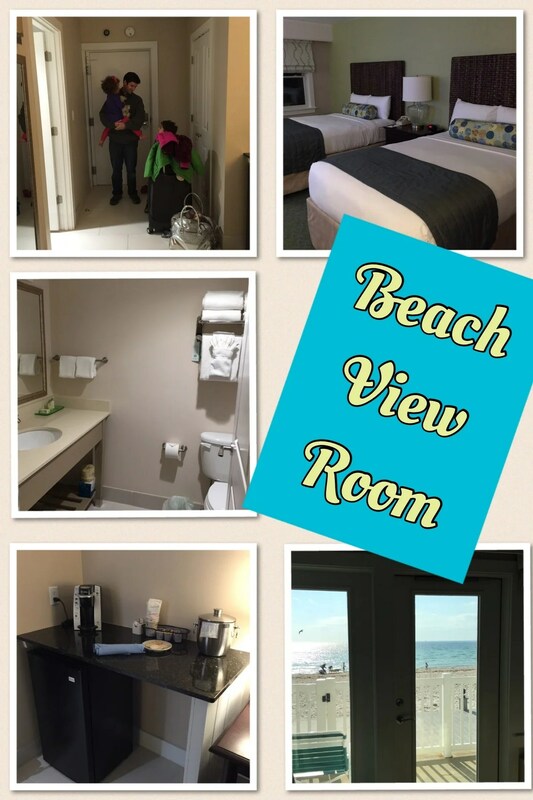 There are about 20 rooms that overlook the beach (we were lucky to stay in one to celebrate the hubby’s 50th birthday), and a few overlook the pool or have a partial view of the ocean. Then there are room with fireplaces and rooms that don’t have a view, but have an adorable guest room feel. The resort has undergone quite a bit of renovations in the past 5-7 years and the rooms have a modern, beach feel with every room having a flat screen TV, Keurig coffee machine and a mini-fridge – perfect for breakfast items and beverages for your summer getaway. Yet, there is Reds, an onsite American cuisine restaurant, and a quick serve breakfast shop open seasonally and a brunch site for on-property food options. We had a complimentary dinner on the last night of our stay at Reds. The atmosphere was nice and the menu was American food; hamburgers to seafood, pasta to steak. 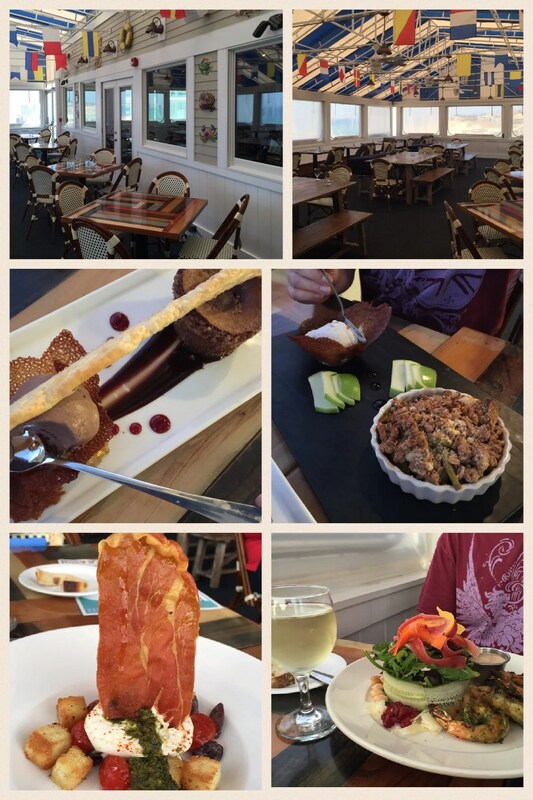 We loved the presentation and taste of our appetizers and dessert, but were not wowed with the Fish and Chips and Chicken entrees. We thought the kids menu was pretty expensive – almost double what you would expect to pay – but it had a pizza, pasta and more. Something for even the pickiest of kids! The service was okay – it took over 45 minutes for us to get dessert because our server forgot to place the dessert order, and even though we requested to take our leftovers home, she threw them away. If the waitstaff is improved, I would definitely say give Reds a try during your stay. Some of the specialty resort amenities that impressed me included, not only the outdoor pool, but the indoor pool (perfect for early spring stays), the two fitness centers, the private beach, and, during the season, the onsite beach service for drinks and snacks; you can go up to the outdoor venues or flag down a staff member and pay for that Cape Cod cocktail onsite with your room key. There is also a gift shop with souvenirs, and items that you may have forgotten to pack. There is LOTS for the kids to do. Even though it was early spring, there were family movie nights, arts and crafts, kids karaoke, kids bingo, make your own Sundae bar, a kids scavenger hunt and more. Room rates vary depending on the room type and the season. 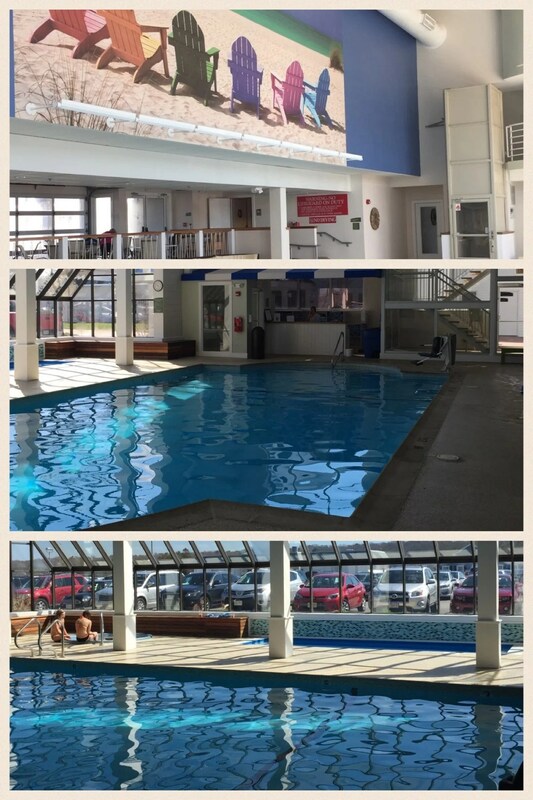 In the off season the rooms vary from $100-$350 a night and during the high season, about $300-600 a night. When we were there, a lot of families were enjoying a stay during April school vacation week and there are a lot of things to do on Cape Cod in September and October. It is a perfect family getaway, about 2 hours from Boston, that is perfect any time of the year. 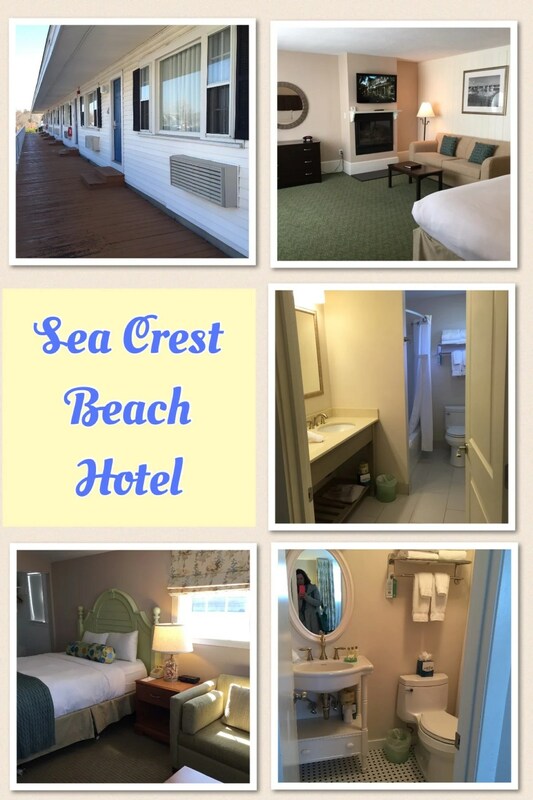 As I shared our complimentary family getaway on social media, I was impressed with the number of friends, and followers who had stayed here and raved about the Sea Crest resort. After staying there for two nights, I’m now part of that fan group too.